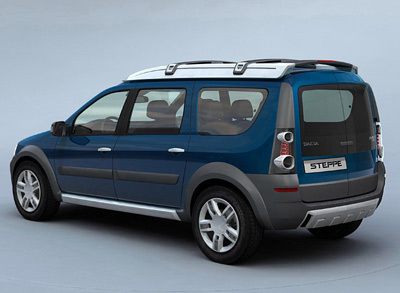 The Dacia Logan Steppe concept was one of the more production ready concept vehicles which was unveiled at the 2006 Geneva Motor Show. The Dacia Logan Steppe is an activity sport wagon which was was influenced by the idea of snow sports. It features a number of snow sports gear, like a roof rack with two snowboards, a cargo area at the rear with a fold out bench for putting on your bulky boots, and a water proof boot storage rack. 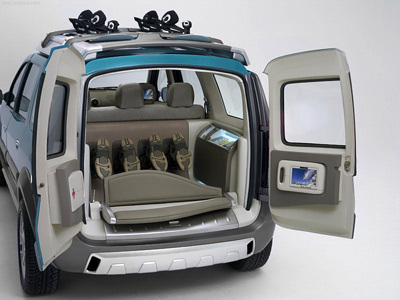 Built into the rear doors are a small dvd player for reviewing all your action shots. While on the other door is a medical kit for when things don't go that well. 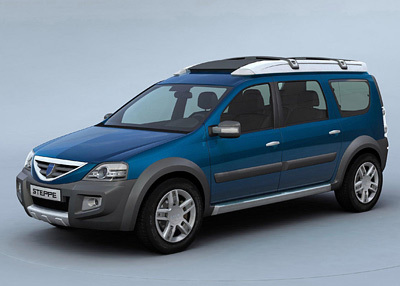 The Dacia Logan Steppe concept was based on an extended platform borrowed from the Logan saloon car. It had rugged looking plastic bumpers and wheel arches, as well as a slightly raised ride height for coping with small drifts. 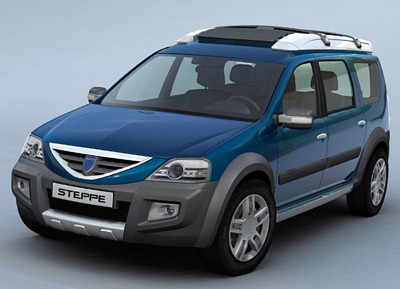 For a budget Romanian brand, under the guide of Renault, the Dacia Logan Steppe was a good looking car. If it was adapted for more normal use - instead of being dedicated to the ski slopes - the Logan Steppe would make a great cheap estate car.